In his early twenties, Jim’s spiritual angst led him to the experiential practice of meditation: Christian meditation, Transcendental Meditation (TM), and then Zen Buddhist meditation. In 1980 Jim began practicing Zen meditation and soon after became a student of Roshi Philip Kapleau of the Rochester Zen Center. After completing his formal training in Zen, Jim began practicing with senior Vipassana teachers in the Theravada Buddhist tradition. Today, Jim offers a balanced, direct approach to practices that point directly to the heart of the teachings. He teaches Insight Meditation at Satipañña Insight Meditation Toronto. Jim has written two books: Lotus in the Fire and Old Pond: The Teachings of the Elders. 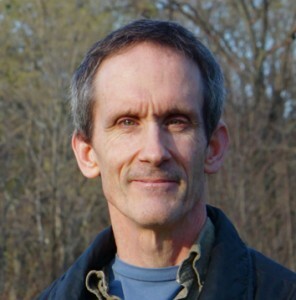 Randy Baker began practicing Zen meditation in 1977 as a student of Roshi Philip Kapleau. His Zen training included 10 years on staff at the Rochester Zen Center. After practicing Zen for 20 years, Randy took up the practice of Vipassana. He has since worked with a number of well known Western Vipassana teachers.